Original era manufacture. 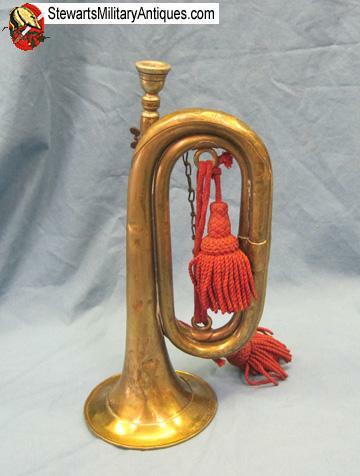 Standard pattern brass Infantry bugle with a portion of the red wool cording and one tassle remaining. Nickel finish mouthpiece has kanji characters stamped into the side. The small mouthpiece connecting chain has broken off of its mount. 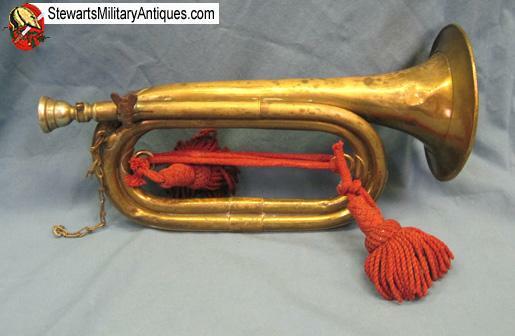 Typical denting to the brass surface, nothing dramatic.